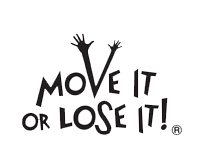 Designed especially for trainers that have successfully completed the Move it or Lose It Training programme, this policy provides cover up to a limit of £5 million any one claim arising from professional negligence or accidents arising in the course of the business. Additional activities can also be insured on application, many of which can be included within the same price, subject to evidence of training and qualification. The policy will cover claims arising from work undertaken after the policy commences and provide up to 3 years run-off cover when trainers cease to practice or retire. If you wish to purchase this insurance, please read the 'Summary of Cover', the 'Policy Wording', and our 'Terms of Business' all of which are available as a download from this page. The current rate includes the premium, insurance premium tax (IPT) and administration fees, and applies to individual trainers only. Please contact us for details of rates that apply to corporate entities, including partnerships and private limited companies. It is important you observe the policy terms and conditions. Cover cannot commence until the application has been accepted and the premium paid. If further information is require, please click hereto send us an e-mail or call 01245 321185 to speak with one of our Professional Insurance Advisers.